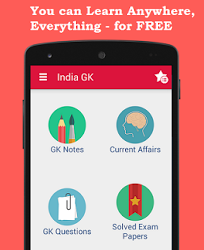 11th, 12th August 2016 Current Affairs MCQs, Quiz, Questions: Current Affairs for August 2016, Daily Multiple Choice Questions (MCQs) for India GK, World GK and current affairs with Collection of daily objective type Question by www.Indiagk.net based on General Knowledge (GK) and General Science (GS) Questions for UPSC, State PSC, SSC, Police exam, Railway exam, SBI, Bank PO, IBPC, SSC, LDC, UDC, Army, Airforce, Navy, Coast Guard, Bank Clerk, TET and all entrance examination with current affairs News, Multiple Choice Questions (MCQs) available on Website www.IndiaGK.net and Android Apps with daily updates:. Which Bollywood star join Swachh Bharat Abhiyan Campaign recently ? Which Satellite was launched by China in August 2016 for the protection of its maritime rights? Lok Sabha approved the Taxation laws (Amendment) Bill 2016. What does it seek to do? Cricketer Hanif Mohammud passes away on 11th August. He was from which country ? Who chairs all Party Meet on Kashmir issue on 12th August ? Which state became the first to ratify The Constitution (122nd Amendment) (GST) Bill, 2014?